The Summa and Tuition are great additions to the Columbia River line-up. The designer is, we understand, still in College, hence the names. We at www.knifecenter.com hope these pay his tuition so that he can graduate summa something or other. We like these folders. The have shaped Micarta handles and anodized blue/purple liners and look very cool. The large flippers allow for great opening action and the elegantly designed blades on the Summas are fully hollowed almost up to the spine and the Tuitions are flat ground. These are pretty, elegant, well made and reasonably priced. The liner on the Summas are thin but the lockup is solid. The overall feel is solid, simple and attractive. Two work knives featuring premium blade steel and hand-shaped Micarta™ scales. Custom quality and materials at an incredible price. Young knifemaker Gerry McGinnis is not well known– yet–-in the cutlery world. But he will be when the word gets out about his production CRKT Tuition™ and Summa™ knife designs. These two locking liner folders offer the materials and quality usually found only on custom knives costing many times as much. Both knives are offered with Razor-Sharp edges or our exclusive combination patented* Veff™ Serrations for fastest cutting through rope, twine, netting, and vegetation. As an engineering student in college, Gerry thought these CRKT designs should be named after words that are foremost on his mind right now. The Tuition™ is a compact and powerful work knife that is just right for shop and outdoor tasks. The broad sheepsfoot 2.88″ blade has a high hollow grind that gives fast cutting, accurate trimming and excellent tip strength. 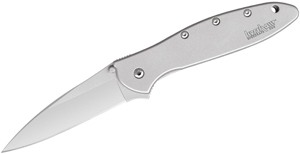 Blade steel is premium 8Cr14MoV stainless steel in a satin finish. 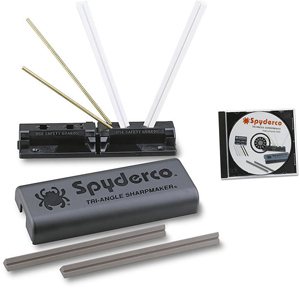 One-hand opening is fast using the friction-grooved flipper, which also acts as a blade guard when open. Our stainless steel InterFrame build is exceptionally rigid, and features hand-shaped black and green layered polished Micarta® scales. While stubby, the Tuition handle is shaped for grip, swelling at the palm and offering a deep finger choil that transitions into the flipper blade guard, plus thumb friction grooves. The custom stainless steel pocket/gear clip in satin finish is removable. The larger Summa™ is a sleek, full-size folder with a 3.75″ drop point blade of 8Cr14MoV stainless steel with a very high hollow grind. 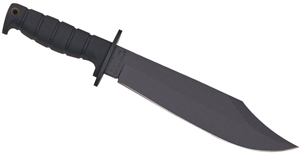 The Razor-Sharp model 1165 has a satin finished blade, while the Summa™ T 1166K offers tactical black oxide coating for maximum corrosion resistance, with our exclusive combination Veff™ Serrations. For fast either-hand opening, just press the flipper. Both Summa models feature an open InterFrame build with stainless steel liners, hand-shaped black and blue layered polished Micarta scales, and a rigid Zytel® back spacer. The liners and custom removable stainless steel clip receive a blue titanium nitride coating, for an effect that is cool and understated. At CRKT, we have never produced a knife based on eye-appeal alone, but the Summa’s graceful and sinuous shape, almost uninterrupted by studs or hardware, is one of the most attractive we have ever manufactured. Everything is just right: look, feel, balance and grip. Gerry McGinnis is a student in engineering at North Carolina State University, who, at age 20, is the youngest knife designer to appear in this catalog. He started making knives when he was 15, learning mostly from Internet forums, and built up his equipment from hand tools to power tools. He met Alan Folts, who he says “was very generous and helped advance my knifemaking skills, particularly with folders.” Gerry transitioned from mostly fixed blades to folders in about a year, and got interested in folder designs with flippers. He has concentrated on mostly flipper designs and perfecting the mechanism because of their ambidextrous one-handed opening characteristics and ease of use. Gerry placed 2nd in the 2008 Custom Knives and Guns Knifemaker Buildoff in the folder category and has been mentioned several times in Blade Magazine as a new maker to watch. Gerry is the designer of the new CRKT Tuition and Summa lines, which to the casual observer seem to be the work of a designer with decades of experience.